Manika also reached her career-best ranking of 52 in 2018 and became India's highest ranked female player. 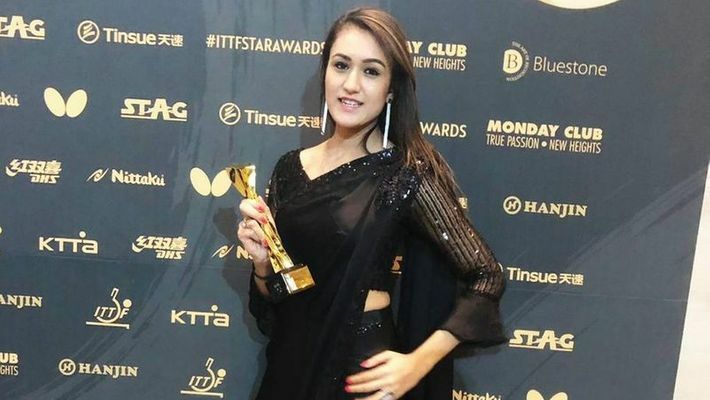 New Delhi: India's Manika Batra on Wednesday became the first Indian Table Tennis player to be decorated with the 'Breakthrough Table Tennis Star' award at the prestigious International Table Tennis Federation (ITTF) Star Awards in Incheon. "I am really honoured and happy to have received the award. I feel, 2018 has been the best year of my career so far and I am happy for what I have achieved," Manika said at the ceremony. "I would like to thank the Government, the Table Tennis Federation of India (TTFI) and most importantly, my family, who has been there for me and motivated me along this journey," she added. Manika started the year on a high at the 2018 Commonwealth Games, guiding India to its first-ever gold medal in the women's team category. India defeated four-time gold medallist and defending champion Singapore 3-1. She bagged another gold in the women's singles category, defeating former World No 4 Feng Tianwei. She added two more medals to her kitty by winning silver in the women's doubles and bronze in the mixed doubles categories. The 23-year-old Arjuna awardee then partnered India's legendary Sharath Kamal to clinch a bronze in the mixed doubles category of the 2018 Asian Games in Jakarta, Indonesia. TTFI's general secretary MP Singh congratulated the Indian star.